This is an interactive ‘altered book’, it started life as an unused 1992 Oxfam diary. 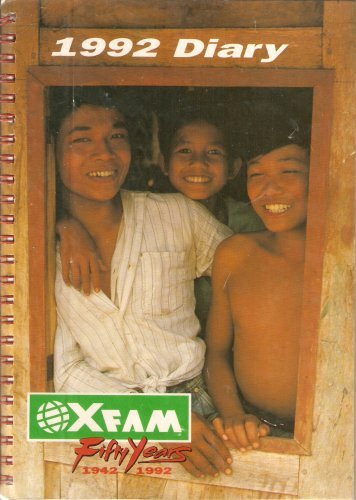 Most alternate pages have pictures of people from a wide range of countries. I’d like the alternate pages to be used by BookMoochers to describe in words or pictures, photos or poems the world they think of as theirs. I’ll upload images of my pages to the journal files as an example, but I’d like moochers to add in their own way, whilst leaving the picture pages unaltered. 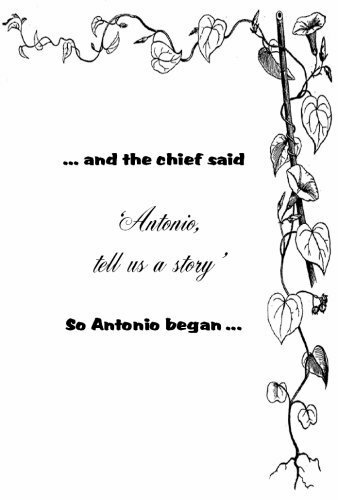 The title of this Bookmooch interactive journal is taken from a proverb. Beyond this the contribution made by each participant is left to their own interpretation. Please try to relist within 2 weeks of receipt and do not alter the contribution of others. Pages can be completed in random order and with any medium desired. 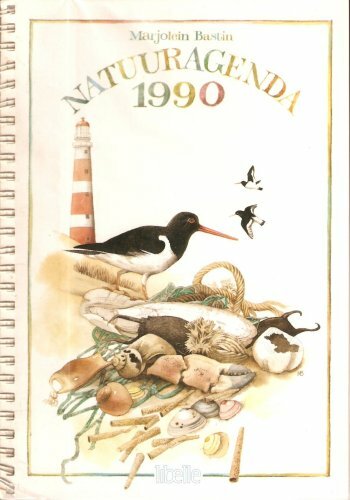 The original book is a 1990 Dutch nature diary with charming illustrations by Marjolein Bastin, worth mooching just for these! 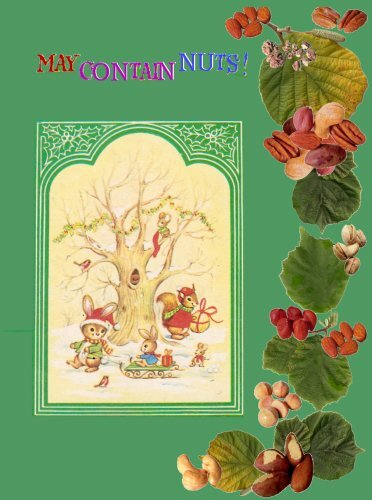 “May contain traces of nuts”! This journal is for those daft examples of wording now demanded by officials, and suggesting that humankind has become so moronic we cannot think for ourselves! We will mooch it back when full if the person completing it will let us know please. Then we can laugh some more and upload the examples given to the BMJournal site so that you can all laugh at them too! We are happy for you to upload images earlier if you would like to do so. This journal has been kept by an inactive and unresponsive journaller. ‘Every picture tells a story’ and ‘a well-written story paints a picture in your mind’ may seem to be contradictary but I think a good story is good whether it’s told in pictures, in words or in a mixture of both. This Book-mooch Journal is intended to be a place for any form of story, just let your imagination flow free and express yourself. To start things off here are three very different examples:- a short story in words only, a sequence of ‘sillies’ inspired by a clip-art photo and a piece of publicity I put together back in the days when hardly anyone had computers and printers, let alone digital cameras and scanners. Compose your story in any way you like. Please add your name and BM id (and date if possible). Please do not alter anyone else’s work, try to relist within 2 weeks of receiving this journal. Thank you. 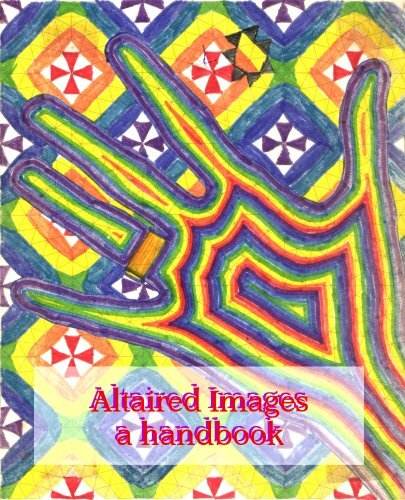 If you were around in the 70s and had children you may well have come across Altair designs. These are a series of mathematical designs for colouring in. The last book we had, in 1980 said the designs in that book were based on 10th century mathematical designs. The man behind the Altair designs is Ensor Holiday, a biologist and geometrician. While convalescing after a car crash he became fascinated by the recurrence of certain designs throughout the world. These designs are the result of two year’s research into their common mathematical links. Our children, and those of relatives and friends often coloured these when at our house, and many of those included are those begun by them but incomplete. The covers and the first (completed) design were done by Mark. Please date your entry or entries and add your name and Bookmooch id in the margin. We are happy for your children to colour a design too. You are very welcome to complete the incomplete examples we have included, but please do not alter those of other Bookmoochers! This book is an old Folio Diary with beautiful artwork. Chose a picture and let it inspire you to create! I’d love for the pictures in the book to remain unaltered – use the calendar page next to the picture that inspires you for your creation. Use any media you’d like and feel free to write or make your own art work. Please don’t write or draw over the work of others. When journal is full, please return to jfit, Jenny Stafford. When I was a kid, I loved secret codes! I’d make up my own using words or hieroglyphics. 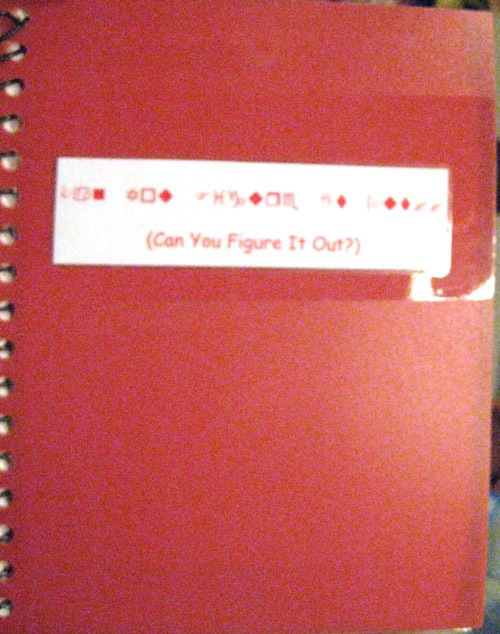 Share your own fun coded messages, glyphs or pictures – just make sure we can figure it out! Please don’t alter someone elses work. When full, please return to jfit, Jenny Stafford. Have Fun!! !